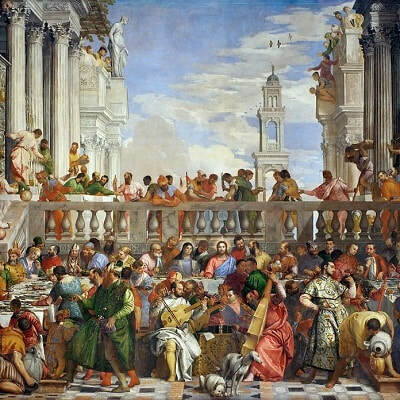 Veronese - TripImprover - Get More out of Your Museum Visits! Who is Veronese? 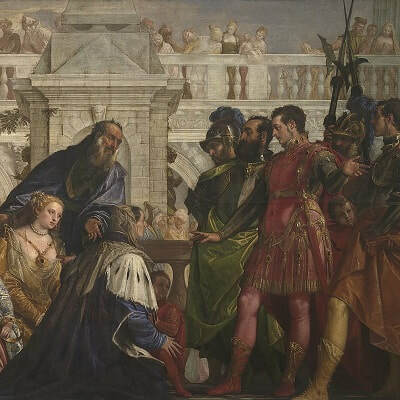 Paolo Veronese (1528 – 1588) was born in Verona (which explains his surname). He is one of the three most important members of the 16th century Venetian school of painters; the other members are Titian and Tintoretto. He is known for his large, dramatic, and very colorful paintings. 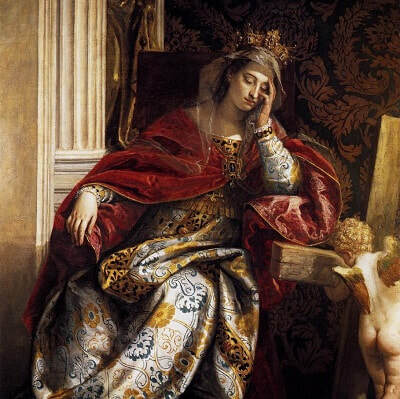 In his early years he used the mannerist style, but later on he returned, under the influence of Titian, to a more naturalistic style. 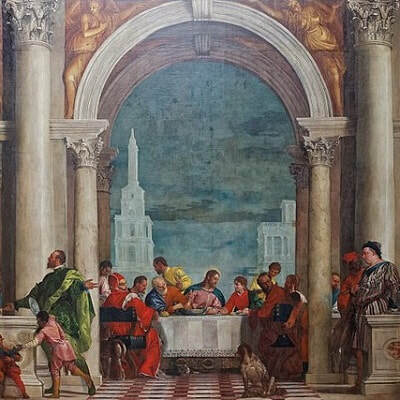 Many of his magnificent works can nowadays be found in and around Venice.